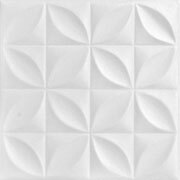 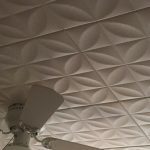 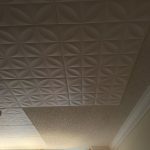 Tips: We used Afix Instant Grab Adhesive purchased from Decorative (decorativeceilingtiles.net). 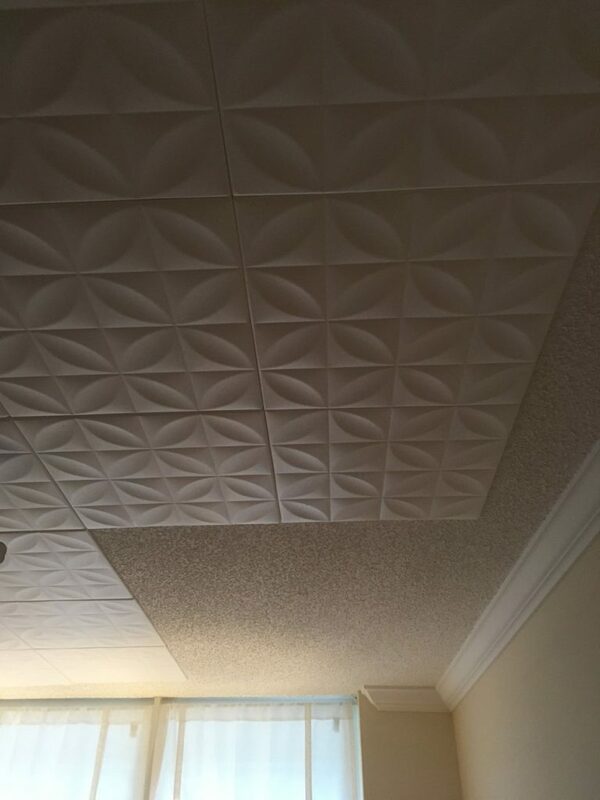 When applying, push the edges of the tiles together and line up the seams; press the tiles firmly against the ceiling. 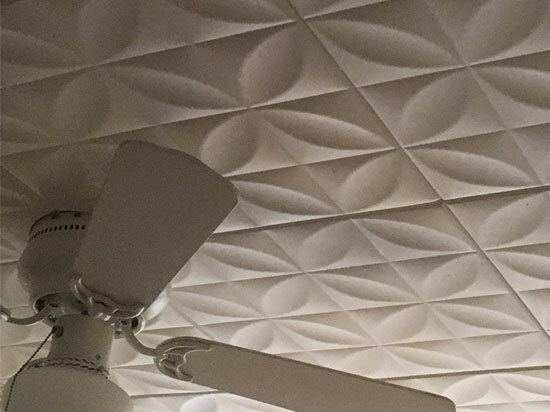 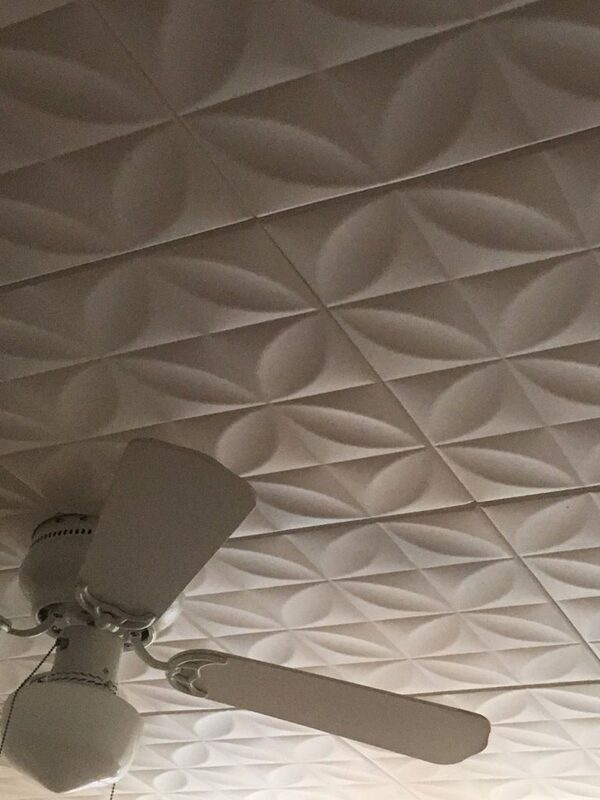 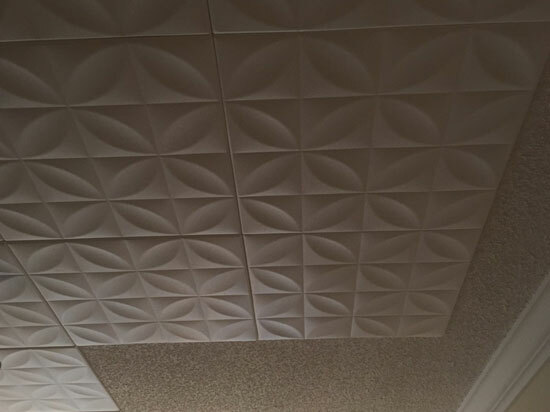 These lightweight tiles nicely covered up a dated popcorn ceiling, and saved the homeowner from the dust and mess of having the popcorn scraped off.